On today’s dives I saw many cool organisms but one that stood out to me was this really big sea cucumber. Everyone swam past it but I stopped and picked it up. It was as long as my arm, the biggest I’ve seen while on this trip. Upon picking it up, I noticed that on its underside there were some shrimp latched on to it so seeing that was cool as well. It was a really unique experience because I rarely ever see sea cucumbers. I also saw some sea stars which was really cool. My favorite are the cushion stars but I’ve seen many different types on this trip and always want to pick them up. 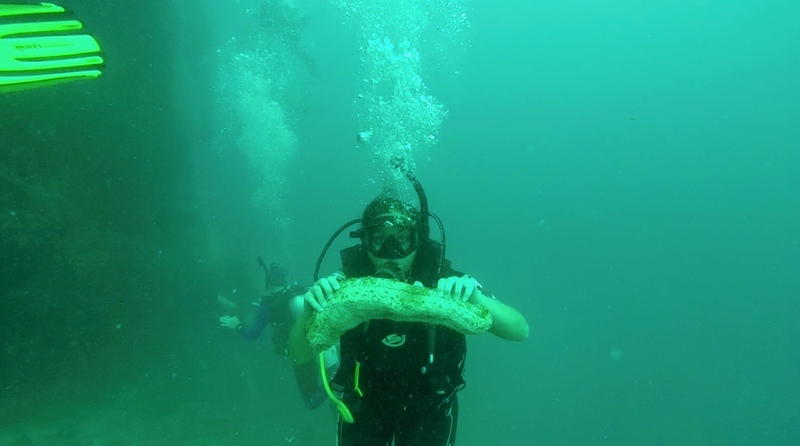 Me holding a sea cucumber. 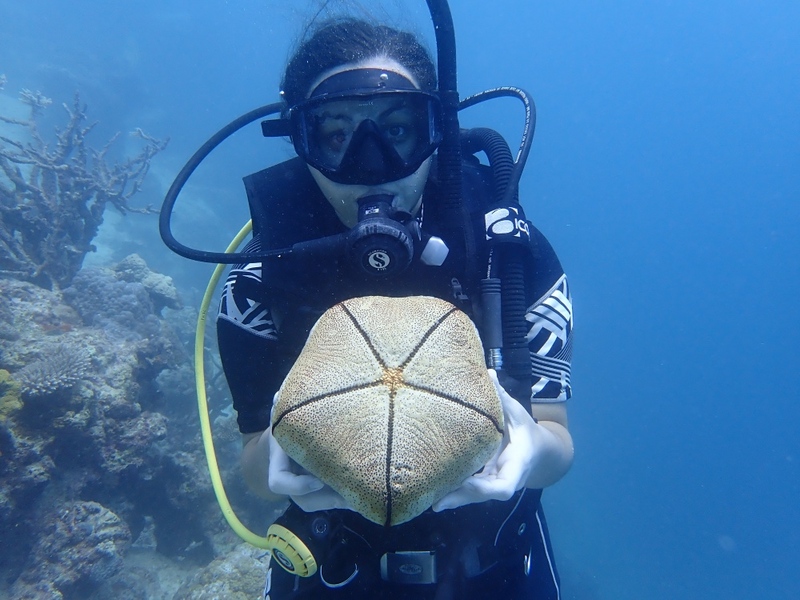 Me holding a cushion star. Photo by Joe.